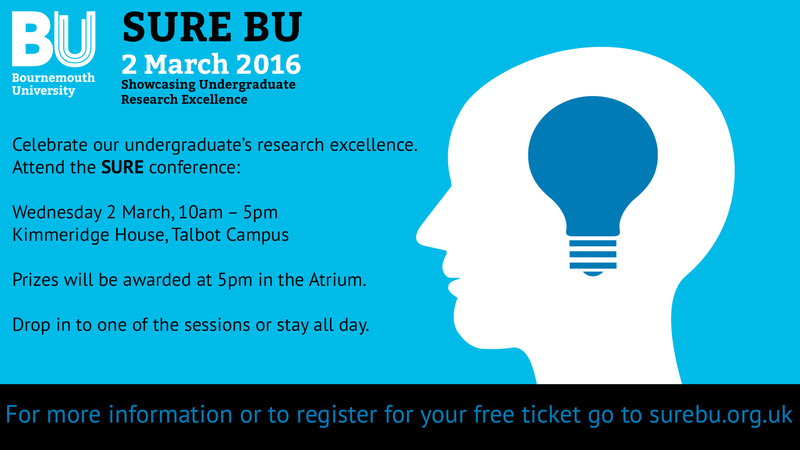 Our annual undergraduate research conference – SURE BU – is returning for its second year on 2 March on Talbot Campus. We’ve had some fantastic submissions, which show how our students are getting involved in research, improving their skills and developing new knowledge. SURE BU is an excellent way to celebrate research being undertaken by our students, learn more about how their ideas could make a difference and how research is shaping their future careers. The conference is open to students and staff to attend: you can drop into a session or stay all day. Attending the conference is a great opportunity to meet with other students, find out about the research going on at BU and support our students as they take their first steps into the world of research. Students will be presenting throughout the day and prizes will be awarded to the best contributors at a drinks reception in the evening. The conference will take place on Wednesday 2 March in Kimmeridge House, Talbot Campus.